My recipe is simple, but very tasty. 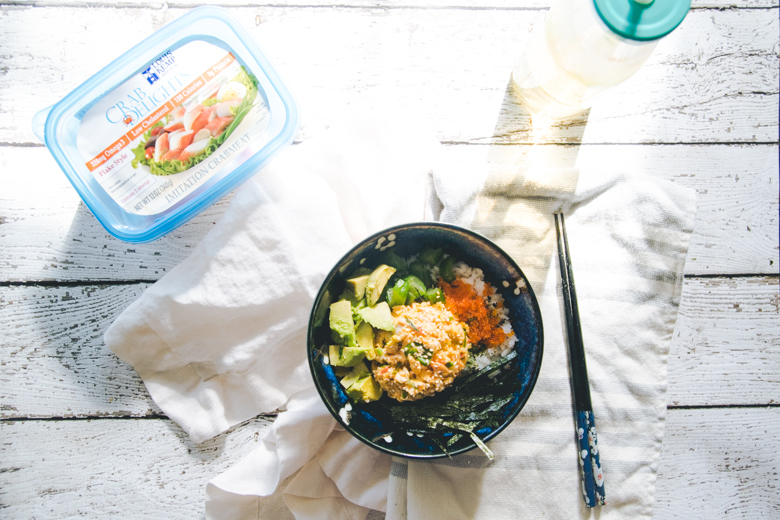 Who has time to roll sushi during the week? Deconstruct it & stick it in a bowl. 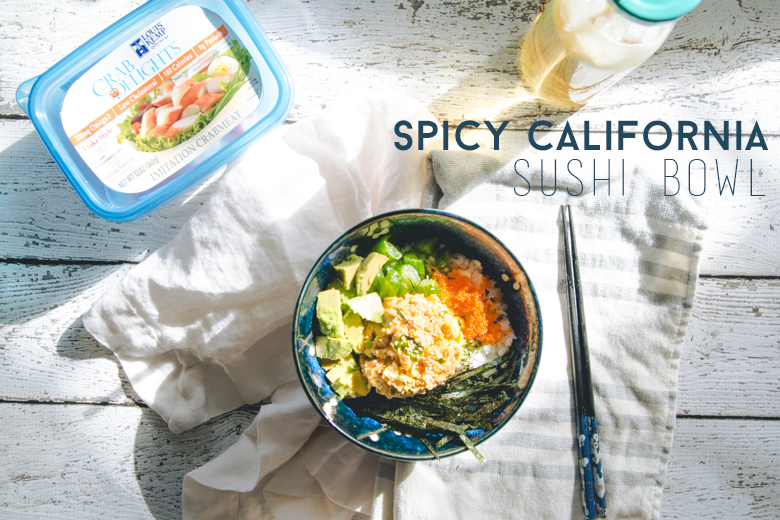 Most California roll recipes ask for just some mayo to mix with your surimi, but that’s boring to me, so I spiced it up with Kewpie mayo, Sriracha, hot sesame oil, & ichimi togarashi. You don’t need a food processor for this, but I would highly recommend it if you have a small one. Make your chopping life easier! 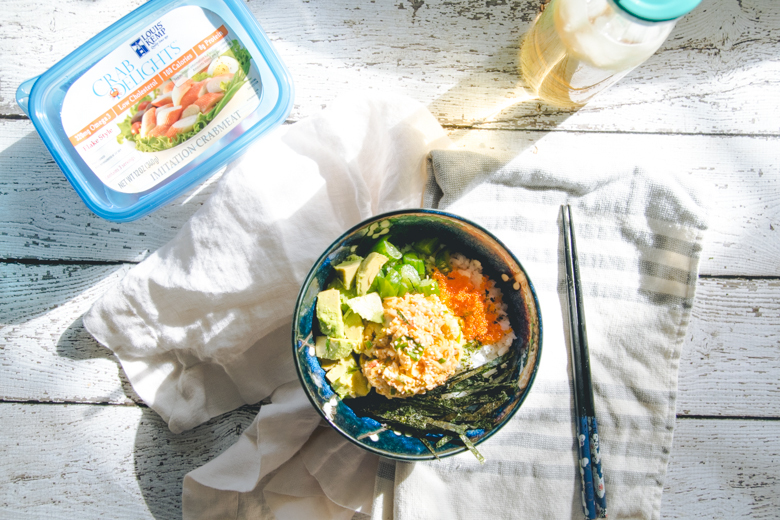 Whether you want to make this a low-carb version by substituting the rice with salad, surimi can be served hot or cold, & is a good source of lean protein. 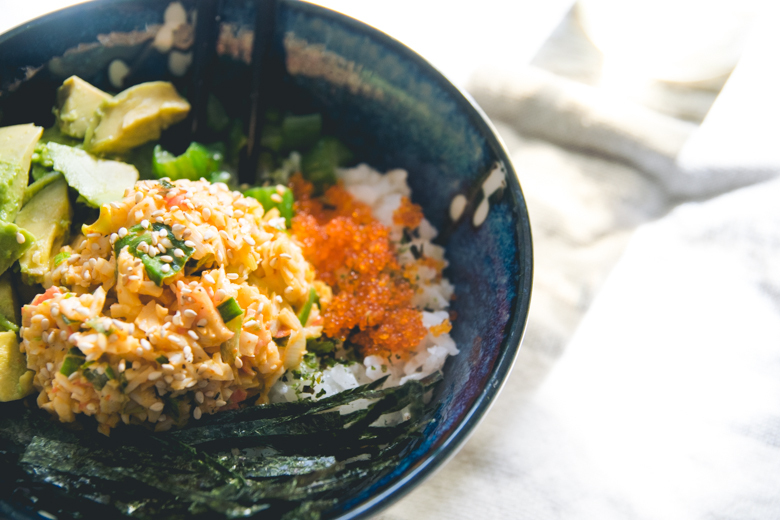 It’s also high in omega-3’s, affordable, low in mercury—so all you pregnant ladies can gobble this up to satisfy your sushi cravings—& most importantly, it’s delicious. I always have a pack of surimi in my freezer. 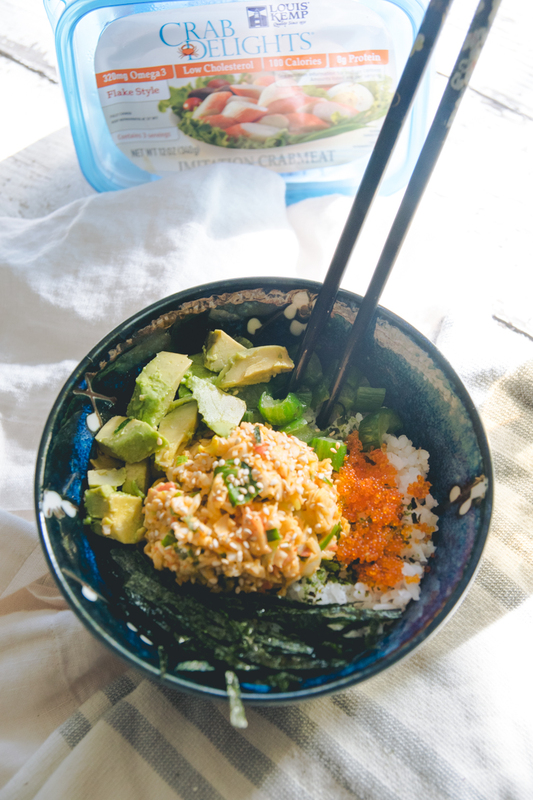 I love adding it to my ochazuke when I’m too lazy to poach an egg. Louis Kemp Crab Delights are nutritious, low in calories, cholesterol, & are fully cooked, making it a great choice for your next meal or snack. I especially love that it’s made with real crabmeat too! 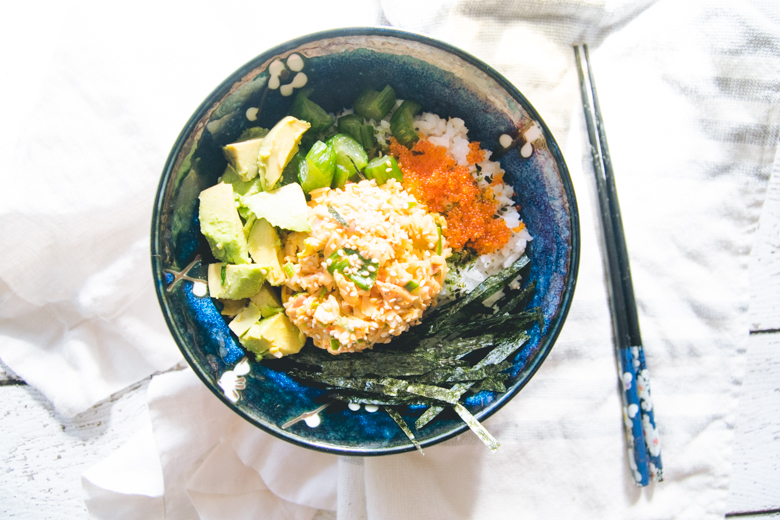 Get on this sushi bowl recipe & satisfy that California roll craving! Be sure to check out the Louis Kemp Crab Delights Facebook Page to find out more about this delicious sustainable alternative to raw fish! Oooh! Yum! That looks good. And it’s something I’d be down for, too, since I like imitation crab meat. I’d just not use the masago, but everything else fits my preference 😀 Even better that it only takes 20 minutes to make. Great for those who are short on time to make elaborate meals. Thanks for the recipe, Tiff! Yes indeed! Make it your own. 🙂 Satisfies that sushi craving, kind of!